Craft Coffee, What does it mean? Craft coffee, specialty coffee, third wave coffee; whatever the term used to describe it, it is open to interpretation. This is not a startling revelation, but it is interesting to see this interpretation expressed through execution. Some cafes have syrups; some have only manual brew methods. Some make chai from scratch; some use a packaged concentrate. Some roasters focus on where they source; some logging roast profiles. Some do all and some do none. I enjoy seeing all the different styles and approaches to coffee. Part of this variety is what I find so intriguing about coffee and in my opinion really makes the culture of coffee alluring us all. 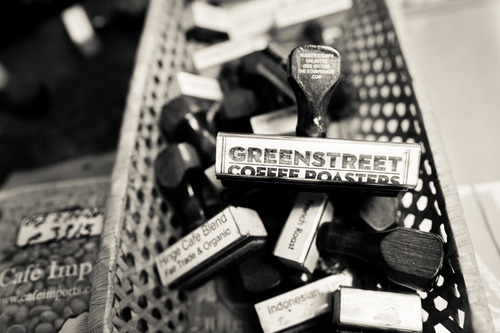 As a roaster and retailer, Greenstreet has the ability to laterally apply ourselves and ensure individuals of a similar caliber are at other steps along the supply chain. To me, collectiveness is part of being a craftsman. It is easier to hone your own skill but more a bit more of a challenge to find and work with those more highly skilled than yourself. This dynamic is age old and a great example (and one of my favorite movies) is the Karate Kid. Wax on, wax off. Long live the craft of coffee and all those contributing to higher standards in the wide world of coffee.